Welcome to the top resources page for artists. Recommendations on this page are products and services I tried out and love. Have Fun. If you decide to purchase through the links below you will be supporting Art Side of Life so I can continue bringing you the interviews with inspiring artists every week. Thank you for your support! 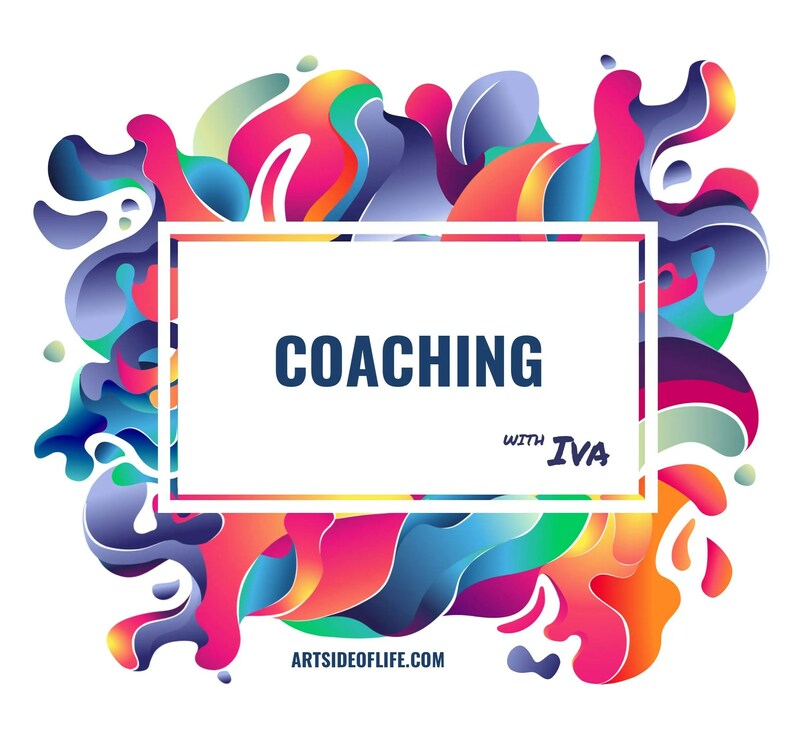 Many of you asked for advice to jump-start your artistic career – how to find your style, how to improve your skills, how to increase exposure in social media and how to talk with clients. It is difficult at the beginning when you don’t have access to mentors and inspirational people in your close circle who can guide you in the right direction. FreshBooks – FREE 30-days trial with this link! Online accounting great for freelancers and small studio owners! Very intuitive and user-friendly. Track time, create offers, send invoices, get paid online! Transferwise – is an online money transfer service that helps you save on ridiculous fees which you have to pay to PayPal or traditional banks when transferring money abroad or receiving money from international clients. I use the ‘Borderless account‘ which is like having a bank account all around the world so my international clients can pay me without incurring fees on their and my side. Have a look below to see how much you can save using Transferwise! Thinkific – is an online platform where you can create, market & sell your own online courses. You can customize your courses with video, audio, text, images, download files, quizzes, polls. You retain control over your content. What is more, they provide unlimited hosting and bandwidth already within the FREE plan. Focus@Will with Bose QC35 (wireless & more expensive) or Bose QC25 (wired & less expensive) – scientifically created music to enhance your concentration. It simply works! As you maybe already know I love traveling to refresh my inspiration and avoid art blocks but my budget doesn’t allow it so often. Fortunately, I discovered trusted housesitters website where you can do pet sitting and live for free like a local. I love dogs and cats and all kind of animals so it’s a great win-win! In this way it’s only about buying the flight ticket or travel there by car, accommodation is for free and you can have a great fun with the animals and you can draw them and practice your animal anatomy skills too 🙂 It also works for those of you who have pets and are looking for pet sitters to be able to travel. Calm – meditation app with plenty of meditation programs. Tamara’s voice is really soothing. Headspace Meditation app – another meditation app with meditation programs. Andy teaches you how to meditate. WordPress themes – Themeforest – a great marketplace for premium WordPress themes – handy if you need to design your good looking website! Blinkist – book summaries – If you are short on time, this service helps a lot! If you don’t like to read or don’t have time to read, try Audible audiobooks with FREE 30-days trial – they list over 100’000 audiobooks!! Tip: Be patient, any software takes some time to learn and it might be frustrating in the beginning. Adobe Photoshop, Illustrator, and InDesign are industry standards that are used in every big studio and company. They take a bit of time to learn but then you stick to them. Since a few years ago, Adobe switched to a monthly subscription service which is cheaper than buying all those software for thousands of dollars. Procreate app for iPad is a great tool if you want to sketch digitally whenever you want – on the go, in the busy, in a park, at home on a couch. It has fewer features than Adobe Photoshop, but it’s pretty solid. It’s been my go to digital app since recently. The disadvantage is that it is exclusive to Apple devices and it doesn’t allow for polished, final artworks for clients. You can however easily transfer the files to Adobe Photoshop. Clip Studio Paint (previously Manga Studio), recommended by many guests, it is great for manga, comics, and animation and it is a pretty good and cheaper alternative to Photoshop. It has a huge community and library of free content and brushes! MediBang Paint – this is a free alternative to both Photoshop and Procreate because it runs on tablets as well. It is great for comics, manga, animation, though with fewer features than Clip Studio Paint. It has also a big community of creators and you can sell your work on their platform. Krita – it’s free and open source digital painting software great for concept arts, textures, matte painting, illustrations and comics. It works on donations. GIMP is labeled as an open source alternative to Adobe Photoshop, but mostly for image editing. Don’t expect so powerful features as in Photoshop, but you will be able to create digital artworks. iPad Pro 10.5″ is nowadays my go-to digital tool when sketching and creating digital art. Technically it’s not a drawing tablet, but a very powerful computer so you can consider buying it for all activities – drawing, painting, email, social media, accounting, project management, etc. Wacom offers a different version of tablets from beginners Bamboo, professional Intuos to super-pro Cintiq. Wacom Cintiq 24 HD – I really love my drawing screen. I use it every day. It is really solid and you get used to it very quickly because the precision is absolutely great. However, if I would buy again I would go for 22 HD as 24 is quite heavy if you want to move it around. Wacom Intuos Pro tablet: I use it when I travel with my laptop. The version I have doesn’t exist anymore but here is a new version. Wacom Draw Graphics or Huion tablet are cheaper options when you are just starting. I haven’t tried these myself but friends recommended them as a good starting point. Money vs. value ratio is pretty good. When choosing printers, make sure to shop around and get as many discounts as possible. They are usually on some kind of sale. Try to choose a printer with solid DPI, a wide range of papers it can print on and very good color grading. Canon PIXMA Pro-100 – large format, professional quality printer for a really good price! Staedtler Mars Technico with replaceable leads. Great for sketching and has a really good grip. I like the weight of it as well, sits well in the hand and you can clip it to your papers or sketchbook. Palomino Blackwing pencils have a wide range of colors from very light to very dark. They also have a quite good eraser at the end of the pencil. Tombow mono. I like The HB which is great for sketching. It is cheaper than Palomino Blackwing and doesn’t need that much sharpening. It is great value for money. Graphgear 500 Pentel. I like to use this pencil for fine details after loose sketches. Prismacolor Col-Erase. Very soft to draw with and good as a base sketch (underpainting). I like the blue and red. Mono eraser. It is my go-to-eraser after a recommendation from a friend. Can’t imagine my life without it now. It has awesome small round tip to erase finest details. You can use it to add small highlights to your drawings. Kneadable Art Eraser. It is great for gently removing smudges from pencil without destroying the paper. What is more, you don’t have the sticky feel on your fingers as you might have with other types of erasers. Sakura Pens Pigma Micron: Great for inking details, taking notes and calligraphy. They dry very fast. You can use them even on thin paper and they don’t come through on the other side. They might run out quite quickly if you use them frequently. STAEDTLER Pigment Liner. Similar to Sakura pens, they are good for technical drawing, doodling, drawing and taking notes. I like them as a second option because they have nice sizes, from fine to bigger tips. Watch out, if you push too hard, you may destroy the tip! Uniball Signo. I love to add tiny highlights to my pencil, aquarelle and watercolor drawings. This pen does the job nicely after the paint dries. The highlights stand out quite well from the paint. Pentel: An another option I like for the highlights. Stabilo carbOthello. They have vivid colors and chalk-like texture. These pencils are so smooth to work with! Finished drawing can look like painting because they blend together so well. It is a great option when you want to have a soft feeling of pastel without the mess all around you. You don’t have to be an expert in blending because they do it for you. Other brands I tried don’t blend so well and they are not so soft. Caran d’ache. They have really beautiful solid colors. They blend well together when you want to do a gradient. They are great for coloring books or your own creations. Do an outline with drawing pen and then color it with these pencils. I also like Neon colors from this brand on darker toned paper. Faber Castell Polychromos. They are great as a base sketch for painting, drawing or toned notebook They have solid pigment, good blending and they are easy to sharpen. If you enjoy adult coloring books or creating drawing for yourself this is a good option. Try smaller set to find out if they fit you before going fancy with a big set. KOH-I-NOOR Watercolor pencils. If you want to transition from pencils to watercolors or you are a professional these will come handy. I see similar results for KOH-I-NOOR as for Faber-Castell. Ecoline. This watercolor ink has all my favorite colors and they are really bright and vivid. Winsor Newton. They are very popular in Europe where I live so I started with this set. The colors are very vivid but they are only basic if you have something really special in mind. Kuretake. The colors are stunning, deep and rich. The pigment is very strong and there is a big selection of colors. Kuretake Starry Colours. The best metallic watercolors I have tried so far. Some other gold or silver paints might be just like sparkle but these have a solid base color. There are many great brands to choose from. I use Acrylics with watercolors in one painting sometimes so I choose according to the colors. Daler Rowney. I love the solid and soft paste tone of the pink Blush paint. You can choose colors you like as a separate tube, which comes very handy. Kreul Chalky Acrylic: Amazing for DIY. It is good on paper, wood or metal. Turner: I combine my favorite pastel shades ( lavender and blue) together with the metallic pearl white. Holbein: The difference from classic Acrylics is that they dry slower so you have more time to blend and correct. I love the vivid colors in this set. Pentel Water Brush. This brush holds water in the brush itself so it comes very handy. It is a very nice idea but sometimes I go back to traditional brush anyway. I have the feeling I still need to dip it in the water. If you want to buy just one brush this one is great for the start and then you can try other types and brands. Daler Rowney. This brand has a very nice range of brush sizes. They are soft and hold their shape well. This one is also good as a gift or carry-on brushes. Canson. The best value for price combination. Maruman. Can hold a lot of water despite being thin and it has a nice texture. Strathmore. Great, toned sketchbooks with different sizes and the cover has a super soft feeling as a bonus. Copic My favorite go-to markers because they blend so well and have vibrant colors. Blick Art Materials – family-owned art store with great offers! If you are looking for an amazing printer that ships internationally, make sure to check out INPRNT – for artists by artists, gallery quality prints! They have been printing quality prints since 2006. Listen to Art Side of Life on the go in your favorite podcast player! If you are a digital artist, you will love Astropad! Astropad is an app that turns your iPad Pro into a professional wireless graphics tablet for your Mac. I use it to work with Photoshop and Illustrator to create highly rendered artworks for my clients directly on my iPad. I was super excited to discover Astropad because the painting apps available on iPad don’t have all the functionality like Photoshop. With Astropad, I can use all my favorite and custom made Photoshop brushes which is super cool. Are you looking for a top quality print shop and online store to sell your prints? Then you should check out INPRNT! INPRNT has been helping artists print and sell gallery quality prints of their work all over the world for over a decade. Created by artists, for artists, INPRNT ensures that you as an artist get your artworks printed in the highest quality and you earn the highest percentage compared to the others in the industry. The online gallery at INPRNT is curated by the members, resulting in a beautiful and unique collection of work. Support your favorite artists, discover new ones and start selling through your own gallery today! And, because you are part of Art Side of Life community, you will get a special 10% discount with the promo code artside. Don’t wait, visit artsideoflife.com/inprnt and use promo code artside. If you love discovering and trying out new art tools, you should check out ArtSnacks! When you subscribe you will get a box of high-quality art supplies every month. I have already discovered so many awesome new products, limited-edition tools and exclusive supplies only available to subscribers. ArtSnacks definitely helps me get more creative and try different art techniques every month. There is also a #ArtSnacksChallenge where you can share your artworks using only the tools in the monthly box. You also get to join the ArtSnacks Mix community where you can talk with other artists like you, inspire each other and improve together. And because you are part of the Art Side of Life community, you will get a special 10% discount with the promo code artside10. Don’t wait, visit artsideoflife.com/artsnacks and use promo code artside10. Subscribe and we can inspire each other to take action to get over to the Art Side of Life.